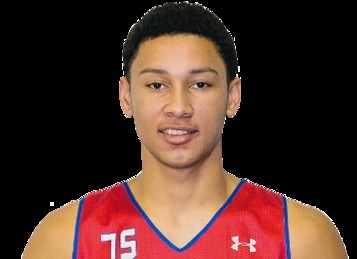 Ben Simmons is now a hair under 7'-0" tall. I don't know by dang can he pass the ball. Watch the Summer League video above. It's artful and beautiful to watch and at 7'-0", uncanny. Only 6'-10" at the time. Dam he pulled a Joel Embiid....lol. Your turn BI. Lakers Keep Their Pick and Own #2 Overall. Simmons/Ingram? If Simmons then Who Stays/goes?